Charm your guests with delicious libations in Charm City when you give them Baltimore Drink Tickets at your next East Coast event. 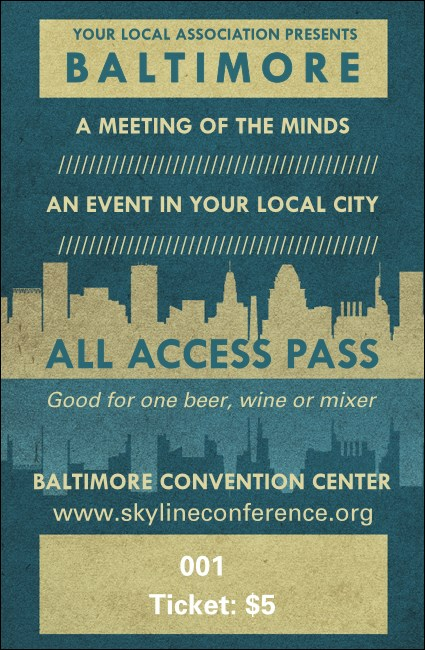 Keep it interesting in B’More with tickets that feature a blue and beige color scheme with sequential numbering for security and eleven lines of custom text for your event details. Find the right ticket for your Maryland event at TicketPrinting.com.